December 6th in Viral, Wordpress Plugins by Wordpress Jedi . Many affiliate programs expect their members to display up-to-date pricing and product information at all times. The Scrape Price Comparison plugin is one of many scripts you can use to pull it off. 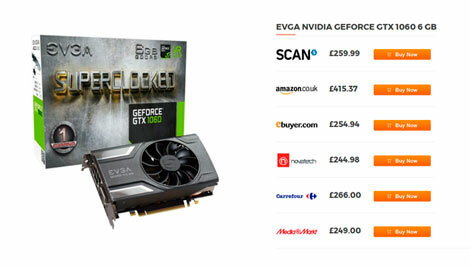 It lets you display a price comparison table on your site with updated prices. The plugin supports Amazon, AliExpress, eBay, and other popular shops. It lets you display prices from up to 6 shops. Its tables are responsive and mobile friendly. Scrape Price Comparison allows configuration of up to 15 shops at the time of this writing. The Scrape Price Comparison plugin can add affiliate tags to your links automatically. It comes with a convenient shortcode for prices. Gealtra is the developer behind this paid script.